Almost all the people have some sorts of hassles when it comes to spam messages. They come unannounced and create a ruckus, by disrupting your work flow. So, you must be wondering how to get rid of this pesky little thing. 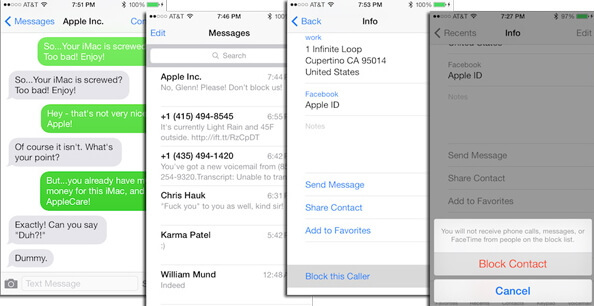 There are tons of ways to block unwanted text messages on iPhone. You can register your number for Do Not Disturb or block that sender or even use third party apps as well. In this article, we are going to give you some easy tips to handle this problem. Part 3. 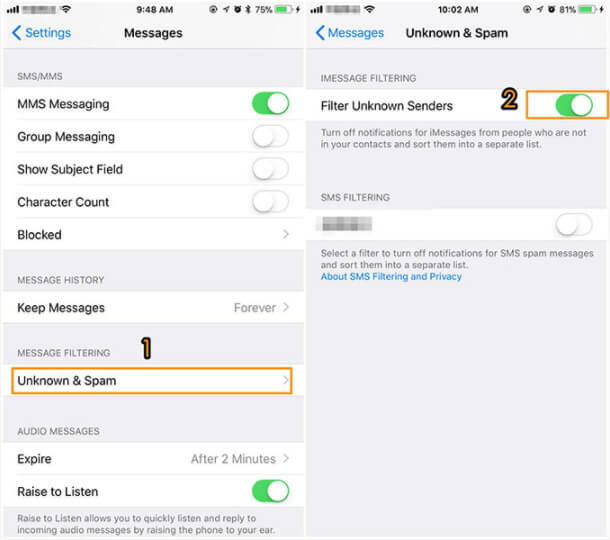 Blocking Text Messages on iPhone via "do not disturb during driving"
The great feature about the iPhone is that when those pesky little scammers and individuals come up to bother you with their work, you can take the easiest solutions. Simple go to the ‘Messages’ on your iPhone. Select the option of the ‘Settings’. And click the “filter unknown messages”. This method is quite advantageous as all the spams are treated in a totally separate category providing a great deal of relief to the users. If the individual still fills your separate list up with useless and teasing messages, you can simply click on the "Block this number" option in the settings of that unknown contact. Don’t worry, we have it explained in the second method. 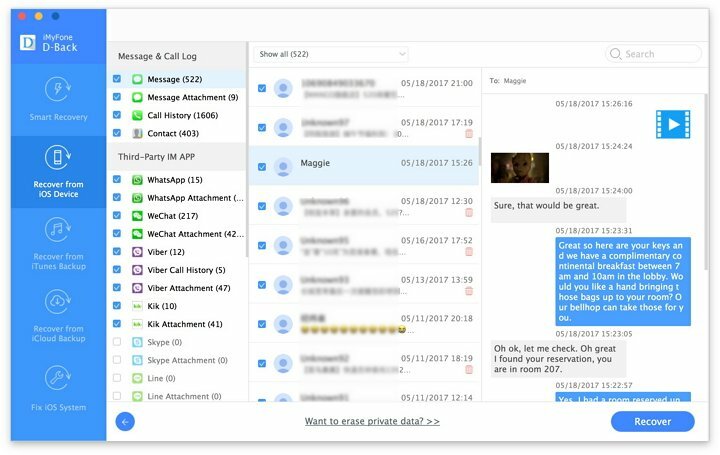 Simply Select the contact from the messages list. Go to the settings menu for that contact. Scroll down and click the “block this contact” option. Once you have blocked the unknown contact, you won’t receive further texts or calls. Driving people always opt to have the full focus on the road with no one distracting them from their work. Well in the latest IOS 11.3 version of the iPhone, you can easily set it to the auto-reply mechanism from your phone. Simply navigate to the settings icon on your phone and enter the general option after scrolling down. 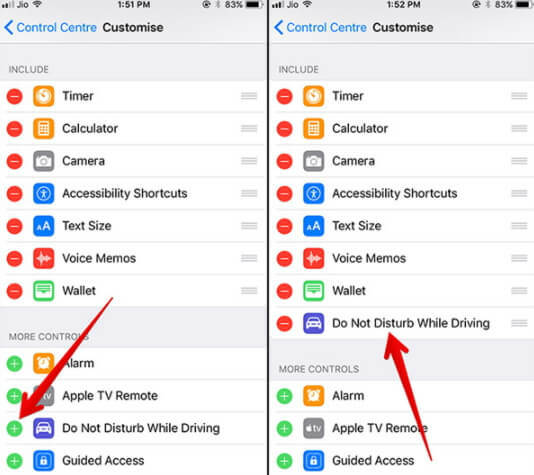 Choose the restrictions after you navigate your way there and you will see the “do not disturb during driving” option which is the answer to your problem. This is an excellent feature that allows the response of each and every message to be given without you ever seeing the message. Now you can focus on your driving while your phone creates a block pass just for you. Some people always find a way to somehow get to you even when you are fine and relaxing. Surely, there is also a solution for that. Contact your carrier about the spammer or the number that is causing a lot of problems for you and simply ask them to block the current number. Some carriers will ask for email and verification of iPhone and address but that shouldn’t be too much of a problem as it is worth less than gained more in return. This allows much easier and smoother process to occur without any hectic long procedures. 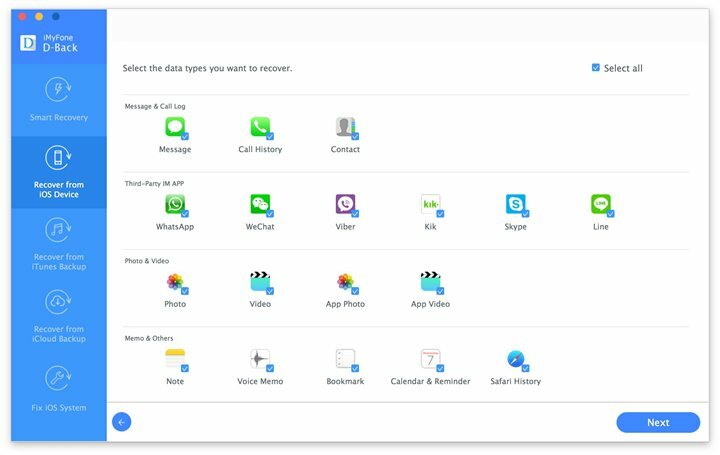 Sometime you may block text messages from your friends or relatives by accident and need to recover your deleted messages by using the methods provided by the iMyFone D-back Data Recovery for iPhone, which provides 4 different methods for the high probability to recover your lost data. And it supports more than 19+ data types which can be recovered easily and without any problem. This can be done easily by this and you won’t have to worry about a single thing. Download iMyFone D-back Data recovery on your system and install it. 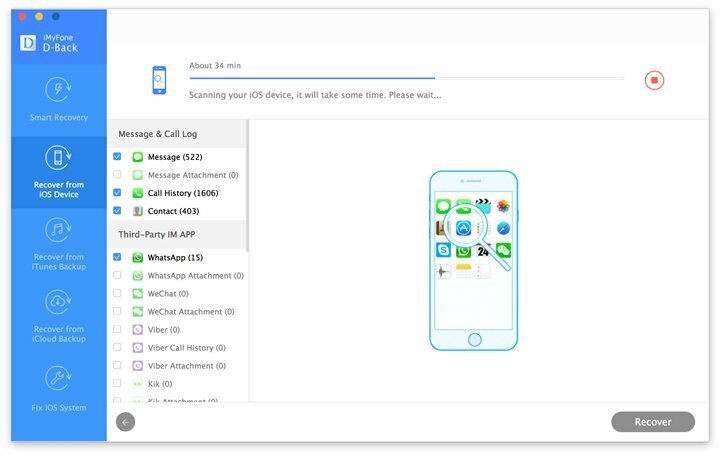 Connect your iPhone device to the same system and start the Data Recovery Software. You need to click on the ‘Recover from iOS device’ tab followed by the start button. Afterward, a window prompt will show up on the screen showing all the data to be recovered. From which you can choose “Messages” and click on ‘Scan’ to find the data. Once the scanning has done, you can preview the files and then click on ‘Recover’ to store them at the desired location. Now you won't have to worry about the pesky scammers or those drunk lovers that will bother during your nighttime sleep. Instead, why not take the easy route for yourself and them and just block them. Maybe you will appreciate the decision you made and make the other person feel satisfied as well with not having to embarrass him/herself over and over again.